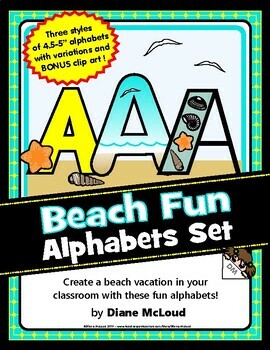 Beach Sea Alphabets - for Spring or Summer bulletin boards, banners, and more! 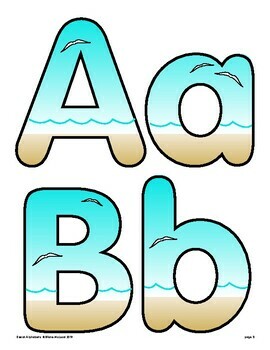 Great for ocean or sea life themes as well as summer vacation themes. 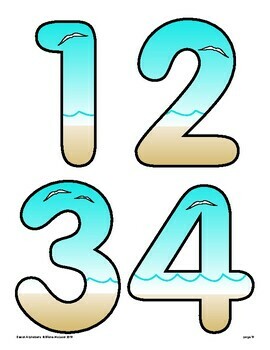 Just print and use—plus you get BONUS sea shell clip art to use in your classroom as you choose! 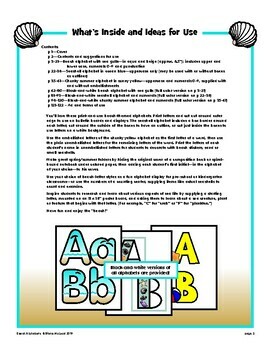 Please be sure to stop by my TpT store—under my name, Diane McLoud—for more bulletin board helpers plus games, incentives, DIY card kits, crafts, Bible teaching tools, creative writing files, activities, and more, and lots of FREEBIES! Thanks for taking a look!